"Rock Hands" is a powerfully moving piece of a man's journey set in the late depression era American, where Gerald Williams competes in the rough and tumble world of illegally staged bare-knuckle fighting. Success in the ring has bought Gerald wealth, pain, and two sisters fighting for his love. All set against the backdrop of a small town forced into hosting the bare-knuckle "Fight of the Century".Gene Thomas has done it again! With an epic tale spanning generations, he has taken us on an amazing journey. 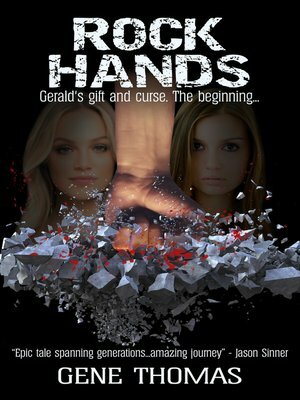 The characters in Rock Hands will pull you into their world and make you want to stay. A novel full of life, love and family that will keep you turning the pages way into the night. A fight for survival, literally and figuratively, Rock Hands will be one of the best novels you read this year. I highly recommend this novel! You will not be disappointed!Review by Jason Sinner5 stars all the way!